Certainly some Affirmations bring more potent outcomes than others. I might Affirm ‘I want safety’. Well, yes, I do want that. However, my understanding of how the Universe works is that it is like a massive warehouse that holds every conceivable thing… and more. The model includes that there is an order desk, where the warehouse workers receive our Affirmations, jump on a fork lift, go to the aisle and shelf that holds what we have requested and bring it back to us. That takes more than an instant. But soon enough, unless we change or doubt, our order, the warehouse worker brings us our request. The request is formed by the worker observing us and noticing that what we say we are, we aren’t. There is something missing or not quite right, so the warehouse worker goes to get what is missing. Thus, when we say ‘I want safety’ the worker notices that ‘yes, we seem to want safety’. The worker simply nods and says that we already want so nothing more to do. A common upgrade is to say ‘I am safe’. The power of the Affirmation is greatly dependent on how strongly I believe it. If I say ‘I have a million dollars’, but clearly do not have it, that Affirmation is almost stopped in its tracks. Not believing the Affirmation deflates it. If I don’t truly feel that ‘I am safe’, it has little power. Stronger to say, ‘I am safer everyday’ because it at least has some chance of being true. Said over a long period, I look for, and once in a while find, more safety in my view of the world. These accumulate. Indeed, there may come a time when I do truly feel safer. The Affirmation is an encouragement to help me along. Now that I do, truly, feel even a tiny bit safer, I gain faith in the process of Affirmations. Time to raise the bar. It is not ‘I believe… or I have faith…’, it is ‘I know’. The caveat? Yeah, makes it more real for me, gives me some human room, helpful. I like it. The true test is whether or not I have new capacity for pursuits that are higher on Maslow’s hierarchy. I definitely do. Strengthen at the base of Maslow’s triangle to increase gains higher up. Without safety our mind is completely occupied with becoming safe, little capacity remains for the pursuit of higher needs. 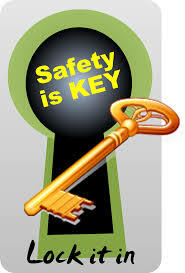 ‘I know that I am safe’ provides foundation for higher aspirations to be affirmed into existence. Watch for evidence that ‘you are safe’. The tiniest observation to reinforce the statement deepens its validity. More validity in ‘knowing that you are safe’ brings ease, capacity to be even more than you are today. State this Affirmation first, then any others you choose. It will sustain them, hold them up.